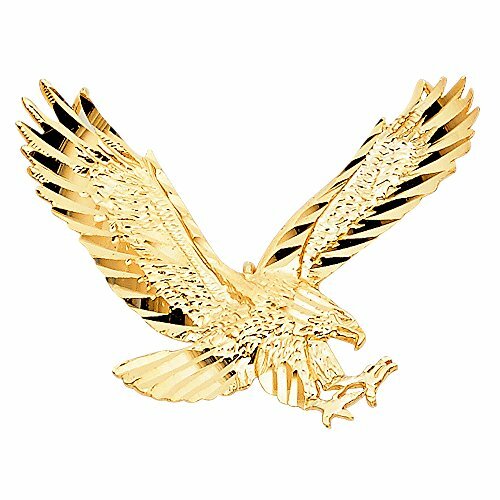 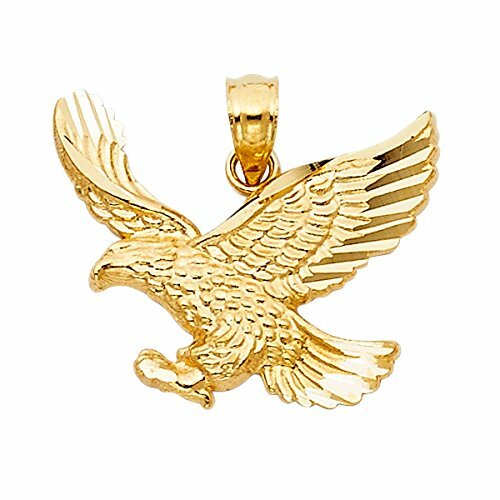 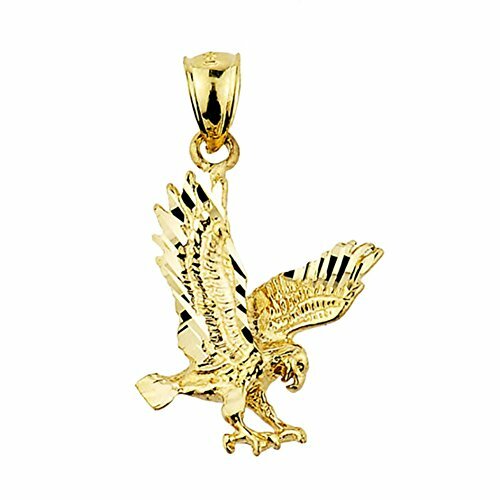 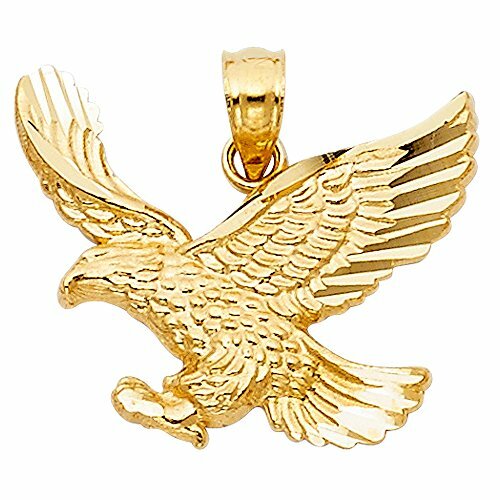 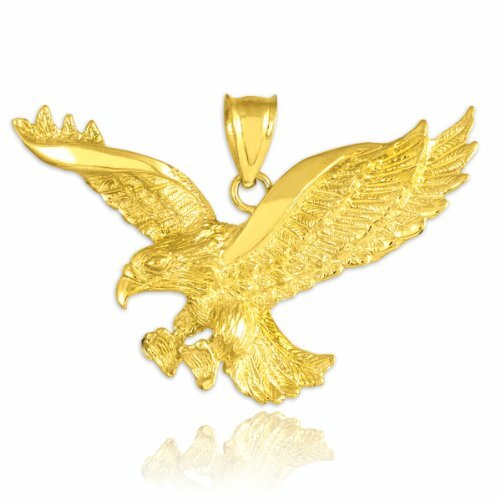 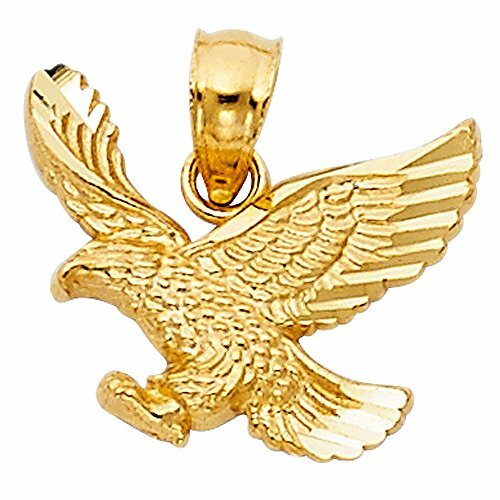 Wear this magnificent gold eagle pendant, a proud symbol of freedom and strength. 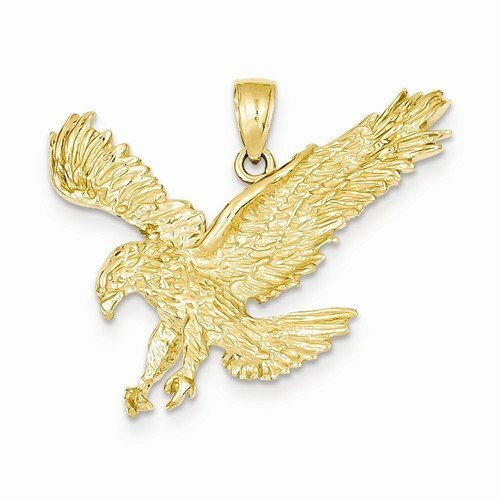 The Flying Eagle pendant has intricate detailing to portray a life-like features in the eyes, feathers, and talons, with a wingspan of 1.6 inches. 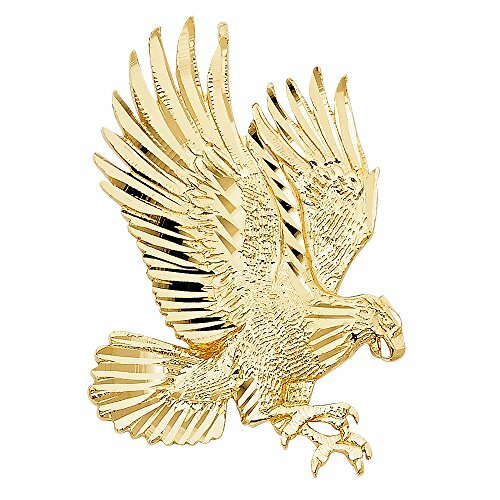 The high-shine polish finish on the edge of the wing create a beautiful outline in glimmering gold.